There will be a talk on Barn Owls, in association with Rathmoy Residents Association, held in the Community Centre on Thursday August 16th. Aine Lynch and Tom Gallagher will be giving the talk on the Barn Owls. 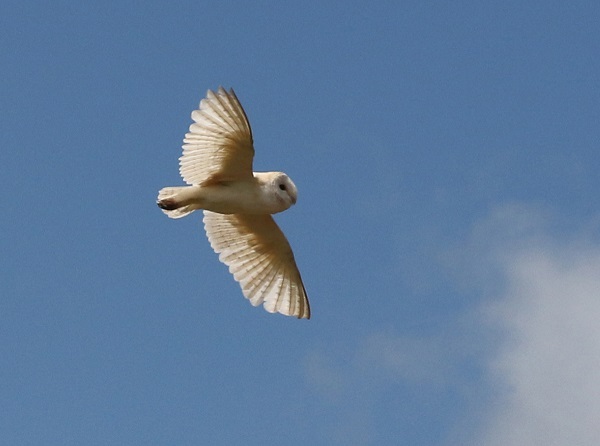 Tom is a retired school teacher with extensive knowledge of Barn Owls in Tipperary. He first started a nest box scheme for Barn Owls in the 1980’s and has been working on their behalf ever since. Aine is the wildlife ranger for Mid-Tipperary for the last ten years. She has been assisting John Lusby of Birdwatch Ireland on and off over the last 10 years on various aspects of his barn owl work. Make sure and pencil it in to your diary as it is sure to be a fascinating talk about this beautiful bird. U8: Borris-Ileigh v Upperchurch in Drombane Wednesday 8th August at 7pm. U10: The U10s are busy with tournaments including the upcoming Mick Prior Tournament. U12: Congratulations to both U12 teams who have both progressed to the North Tipp Finals which will be played in Dolla this Sunday 12th August. 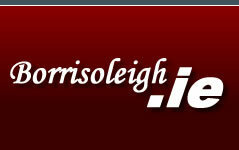 The Maroons play Nenagh or Toomevara at 5.30pm and the Whites play Lorrha-Dorrha at 6.30pm. The next training session for the U12s is this Friday at 7pm. U14: Well done to the U14 team who defeated Moneygall-Clonakenny on Tuesday last in their last championship group game. They now go on to play Toomevara in the Quarter Final next Wednesday 15th August. U16: The next outing for the U16s is this Monday 13th August and is the last match in the Round Robin series. 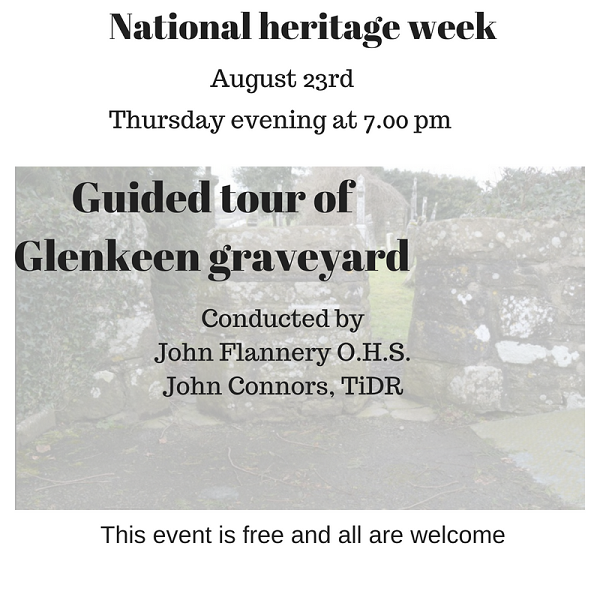 There will be a guided tour of Glenkeen Graveyard on Thursday August 23rd at 7pm as part of National Heritage Week. The tour will be conducted by John Flannery O.H.S. and John Connors, TiDR. Dinner B & B in Bundoran Retreat on Island on Wednesday 5th. Meal on way home in Donamon Castle. 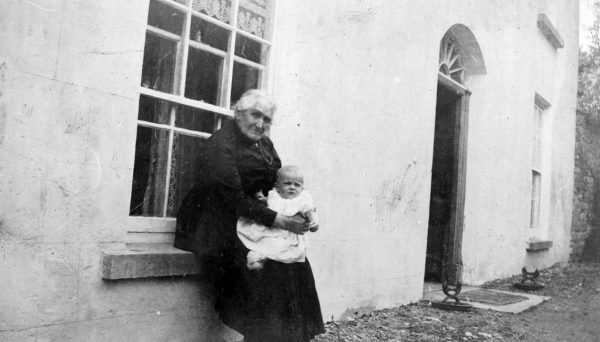 Co Roscommon. Total cost is €180. pps. €30 extra for single room. Deposit of €90. When booking. 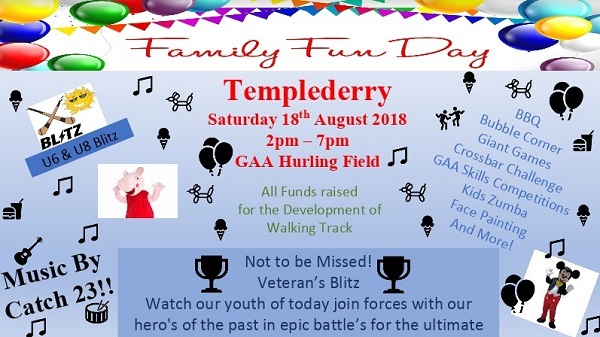 Contact Fr Murphy 0863868877 or Bridget O’Dea 0866792754. Phone to confirm pick up location for bus.